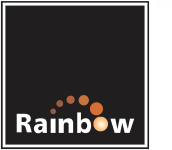 Rainbow Housing has made its significance since 2005 where they are not big players in the real estate market. This builder has made an impact on the Investor's and on end user as they have to think about this group while going for some different group because of its name, fame and commitment of delivering the project on right time .This group uses modern technology in their construction's where the durability and reliability of that particular Apartment increases. I have booked a flat in Pebbles II, the project is really nice, locality is good, amenities they have provided are fascinating. Rainbow Housing has a fantastic team, they are polite and understand the needs of a customer, they are good in delivering in time. I will recommend to book flat in this project. The good aspects of this group is they are making projects as per customer's view and they have done their home work in form of surveying the market and collecting the feed back from the clients who are looking for a first home or a second home. This builder is meant for those who really worth for their money and want to invest in good projects. They also provide good hospitality services to their client whether is pre-sales or post-sales.